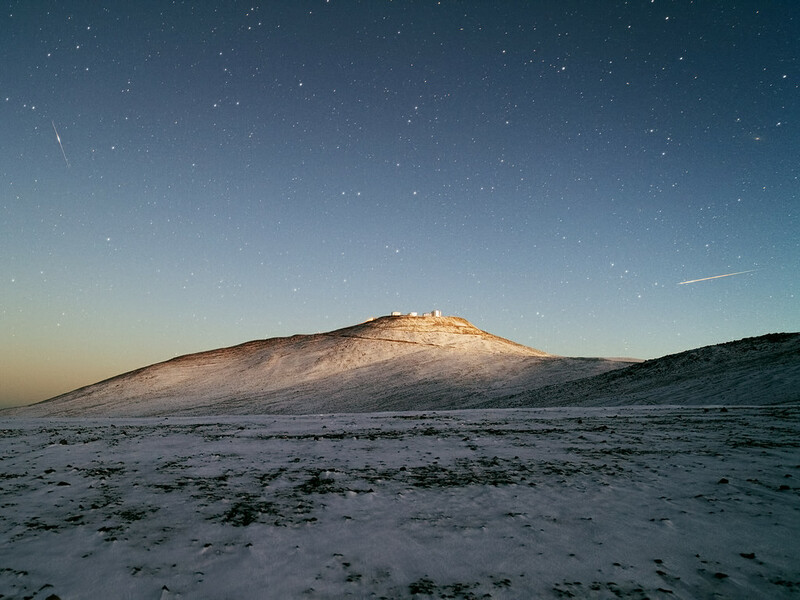 The night sky above Cerro Paranal, the home of ESO’s Very Large Telescope (VLT), is dark and dotted with the bright stars of the Milky Way, and more distant galaxies. But it is very rare to see the ground contrasting with the sky as markedly as in this photograph, which shows a gentle layer of white snow dotted with darker spots of the desert terrain beneath. 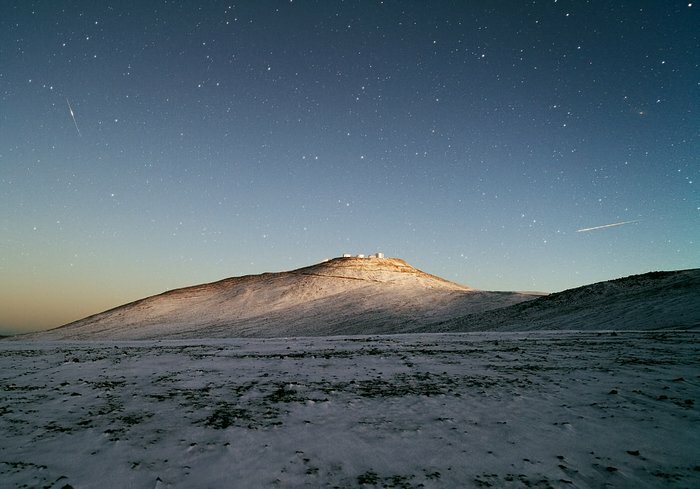 The picture was taken last week, shortly before sunrise, by ESO Photo Ambassador Yuri Beletsky, who works as an astronomer at the La Silla Paranal Observatory. He captured not only the beautiful snowy landscape of the Atacama and the mountaintop domes of the VLT, but also an incredible night sky. To the left of the VLT is a satellite trail, and to the right is the trail of a meteor. 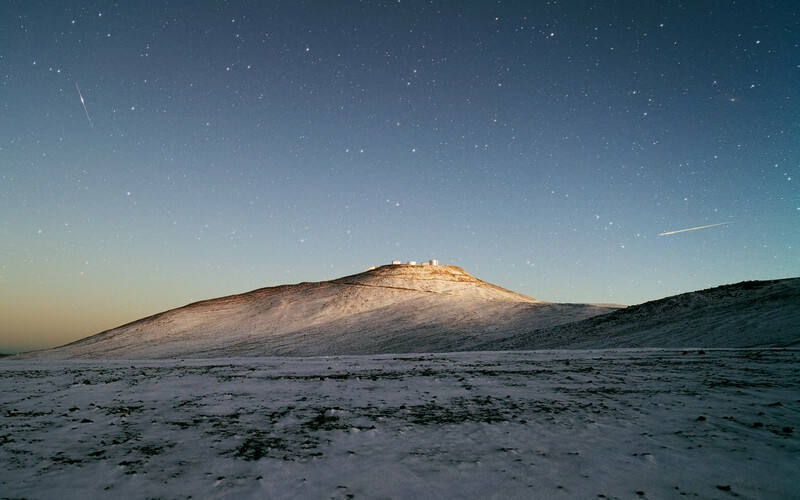 Cerro Paranal is a 2600-metre-high mountain located in the Chilean Atacama Desert. It is a very dry place with humidity often dropping below 10 percent and rainfall of less than 10 millimetres per year. Snow, however, does occasionally fall in the desert, providing fleeting but magnificent views such as this one.